I am neck deep in strategic thinking. The school where I teach is engaged in an aggressive strategic planning initiative. We are working with an excellent consulting team and are asking hard but important questions about the present and the future. 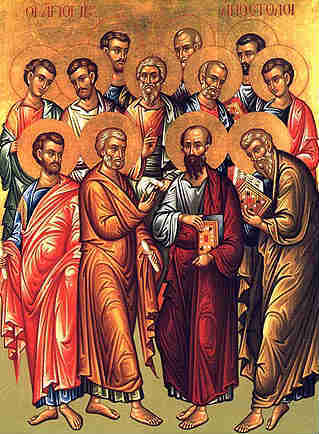 But all this has got me wondering about the apostles. The execution of the apostolic mission seems to have been driven as much by Spirit directed intuition (Paul’s ministry in Phrygia and Galatia) and the apparent vagaries of circumstance (the scattering of persecution) as by planning. It is true that Paul planted churches along trade routes and in major cities. But was this a pre-meditated apostolic “strategy?” Or was it simply a consequence of the natural constraints of travel in his day? It is also true that Jesus revealed the broad outlines of the church’s mission in the Great Commission and in Acts 1:8-9. But I can’t help noticing that he framed this agenda in language that sounds more like a promise than a plan. There is nothing in the early church that resembles the kind of business planning we commonly employ today. No charts. No maps. No slogans. When the church met to discuss the implications of Paul’s ministry to the Gentiles at the council of Jerusalem in Acts 15, their concerns and conclusions seem to have been driven more by theology than by strategy. Indeed, some of Paul’s actions seem decidedly un-strategic. He ignored some opportunities for expansion because he did not have a sense of liberty from the Holy Spirit. He refused to “contextualize” his preaching style to suit the preferences of the Corinthians. What does this mean for the church’s practice of “strategery?” I do not think it invalidates it. If anything, it gives us a certain freedom to embrace the process and trust God to work through it. At the same time, the apostolic example is an important reminder that the Holy Spirit does not deal with the church as if it were an elegant machine. The church’s operations are organic not mechanical. There is a place for planning, progress and, yes, strategy. But the church is also a place of chaos, mystery and creation. The Spirit continues to brood over the church just as he did over the waters of creation. He will not stop until the work is finished. Really thoughtful, John. Thanks. My sense is that “strategic thinking” is the commercial vernacular today. The artistic vernacular today would be “self-expression.” What would have been the equivalents in Paul’s day? Was there a “trade language” or an “artistic language” or worldview that the apostles chose NOT to use when they opted FOR “Spirit-led intuition”? If I knew the decisions the apostles made in their own day, it would help me with the decisions I have to make today when it comes to thinking about future planning. Again, I appreciate your really insightful comments here. Your observation that there is a cultural dimension to this is on target, Marshall. I do not think it is an “either/or” proposition. The Bible sanctions planning even as it warns about the illusion of control. For me, this is the temptation-to succumb to the illusion of control and forget that my planning is drawn into a larger stream of events whose course is ultimately directed by God. I find myself grappling with the tension between trusting spiritual intuition and common sense, and exercising wisdom and forthought. I believe planning is good and right but sometimes too much planning at the expense of simple spritual intuition prevents us from just moving on and learning as we go. Perhaps too much planning can actually be a fear of making mistakes and loosing ultimate control? Yes, I think so. I am more and more convinced that control is a core issue in my leadership struggle. I needed this today. I’m going to share this with our leadership team. As always your writing is superb and you are now an official blogger. I especially appreciated the short article on Ryle and preaching. I also enjoyed the discussion on strategic thinking. Theologically speaking God Himself is the greatest strategic thinker as He planned out our redemption before the foundations of the world and wraps it up perfectly in Revelations. That takes some serious planning.